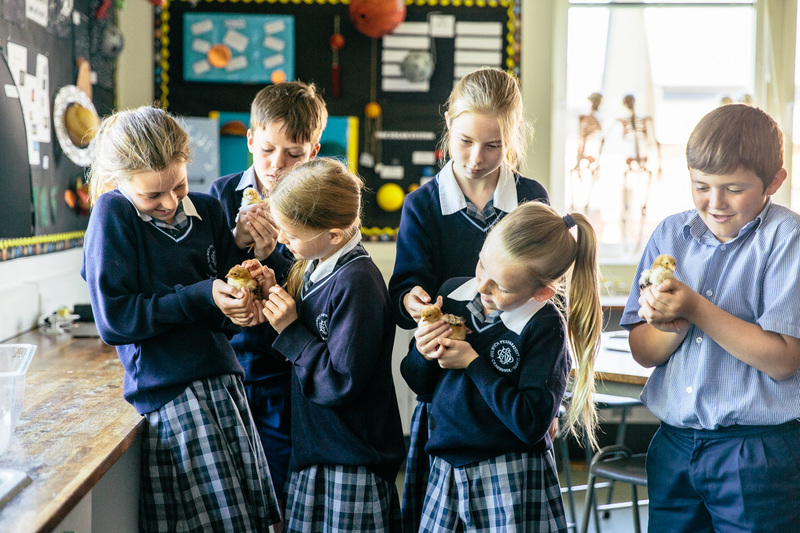 This rural prep was one of the first to enter the Muddy Best School Guide after going under the Muddy microscope – when I spent a day there nosing around, meeting staff, chatting to the kids and generally doing a bit of Muddy journo ‘digging’. So class, listen up, and no talking at the back please! What? Where? Dulwich is a rural prep school located in Cranbrook, pretty much smack bang in the middle of the Tunbridge Wells, Maidstone, Ashford triangle. 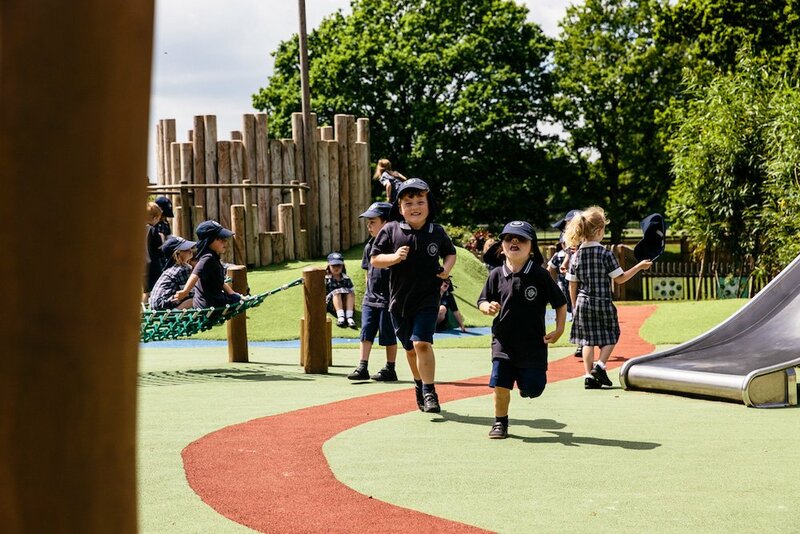 Only an hour from Central London, the school sits in 50 acres of beautiful Kent countryside. My first impression is that this is a big school, (there are a total of 540 boys and girls aged between 3 – 13, with a roughly even gender split) and the grounds and buildings are extensive. What I’m looking at, I come to realise, is really three smaller schools in one. 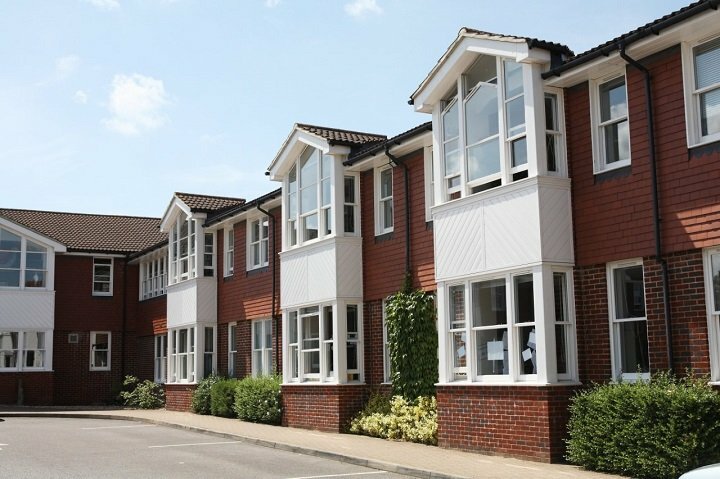 These self-contained buildings are divided into age groups, each – very importantly for us parents – with their own School Office and separate car parking area for Pick Up and Drop off. The split works like this: Nash House (Nursery and Reception), Little Stream (Y1 – Y4) and Upper School (Y5 – Y8). Dividing the year groups like this of course makes perfect sense and allows a bigger school like this to keep that all important personal touch and the chance for each child to be known and looked after individually, which is what you pay for after all. Each building has its own facilities as well as strong identity and style, appropriate to the age of the child. Yet they are also linked successfully – the Headmaster attends assembly at Nash House and Little Stream each week and all children eat lunch up at the main building, at different staggered times so no one is overwhelmed. 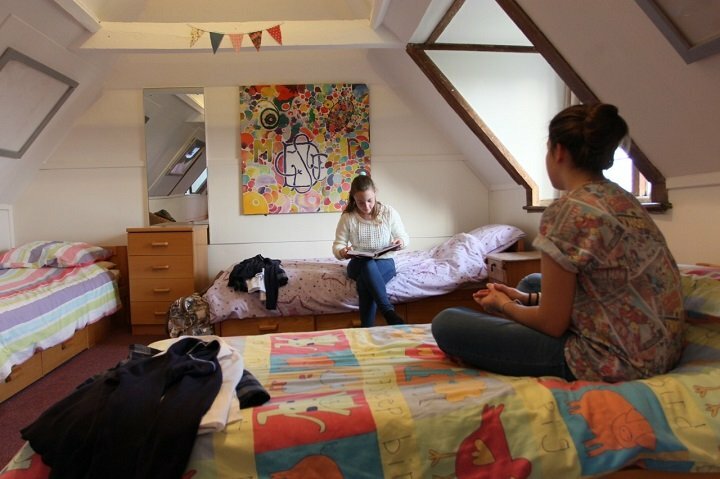 There’s very much a campus feel about the school and although some of the older buildings have character like Manor, the Girls’ Boarding House, the sense I had of the site was more one of practicality and modernity. Facilities: Excellent, with all the usuals you’d expect, plus tennis courts/all weather hockey pitches, eight-lane athletics track, heated outdoor pool on both the Upper School and Little Stream sites, cricket nets, two out-door permanent table tennis tables, oodles and oodles of playing fields to really knacker the kids out at playtimes and a woodland area for Outdoor Learning (more on that to come). All the classrooms were light and spacious and I stuck my head into several classes where the atmosphere was of engaged and focused children at ease with their teachers. There was a nice hum of brains ticking and lots of chatty participation and interaction going on. In one or two of the Upper School classrooms students actually jumped up to greet me and talk me through what they were learning in that lesson. Apparently it’s school policy that each class has a chosen weekly greeter who will welcome any visitors who wander in at lesson time and engage them in conversation. It’s a a nice touch. Certainly all the children I spoke to were confident and chatty – comfortable in their own skin. What else? 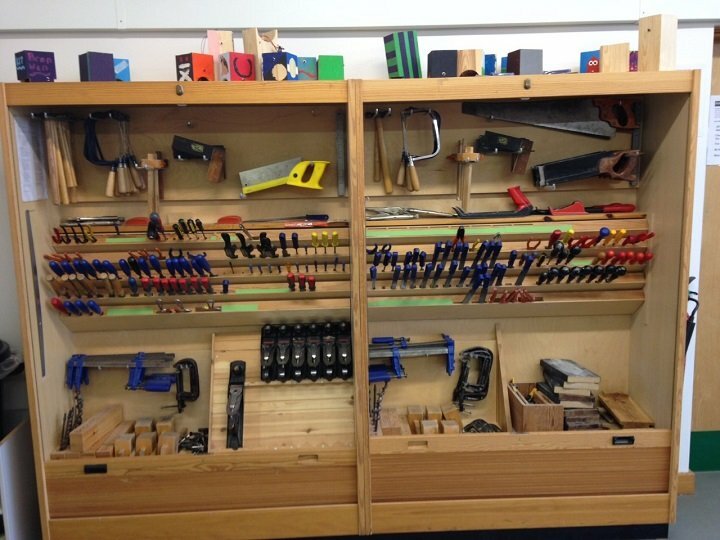 There was a decent sized DT department, which looked so much fun I wanted to stay and play. Art and Music are also both really strong here. 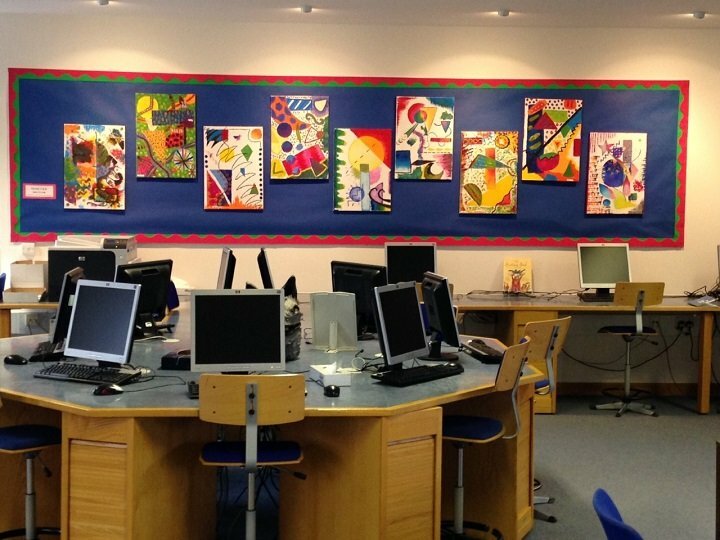 There are a lot of stunning Art displays dotted all around the school (with many hanging from the rafters) showing off the students’ work – and trust me I know from personal experience just how much time and effort goes into producing these! It must be very satisfying for the children to see all their creative endeavours out in the open in pride of place. Dulwich has a long-standing reputation as a sporting school, with considerable success in fixtures and competitions both regionally and nationally. However recently the school seems to be shying away from its reputation as a school for sporty boys and girls and there’s a lot of talk of inclusivity. Rather than just one elite ‘A Team’ each year pulls together several teams, giving each student the chance to take part should they so wish. Certainly parents should never assume that a smaller school, rather than a bigger one, guarantees a place in the team. If student numbers are small and your child doesn’t get in the ‘A Team’ there might not be enough interested children left over to scrape together a second team – food for thought. 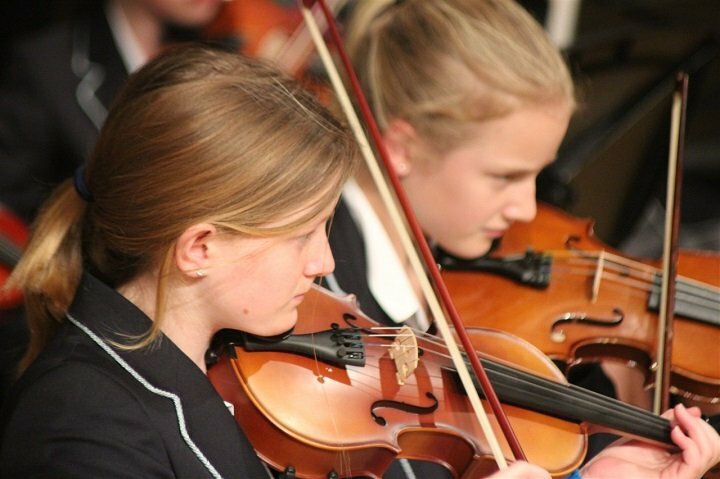 The Music Department is housed in a purpose-built block in Upper School with a large recital room and seven practice rooms. Little Stream also has a self-contained music suite with teaching and recital space as well as two practice rooms. Dulwich has close to 20 peripatetic music teachers as well as permanent staff. The day I visited the students were buzzing with excitement as they were gearing up for an inter-house sing off – where they all had to perform One Direction songs. There’s every kind of music ensemble on offer – from Chamber Choir and Orchestra to Samba Band and *sign me up right now* Rock School! There’s a big After School clubs Activity List – to give you an idea of what’s on offer this term, click here. Put it this way, I don’t think anyone’s going to get bored. One of the most popular clubs that’s been introduced is Triathlon Club, which culminates at the end of the Summer Term when Dulwich hosts the National Prep Schools’ Triathlon (over 200 competitors from across the country join in to compete across the three disciplines). I’m exhausted just thinking about it, but the kids love it. And new to the timetable is Pop Up Club where the children themselves suggest a regular club – last term it was Harry Potter, this term is Enid Blyton’s Enchanted Wood. This is typical of the way that thinking for yourself and being self-motivated is very much encouraged. Y8s even run some clubs (like dancing) themselves and can also apply for a role as a ‘Senior’ (the Dulwich equivalent of a Prefect) with the child choosing which area they’d like to take responsibility in. 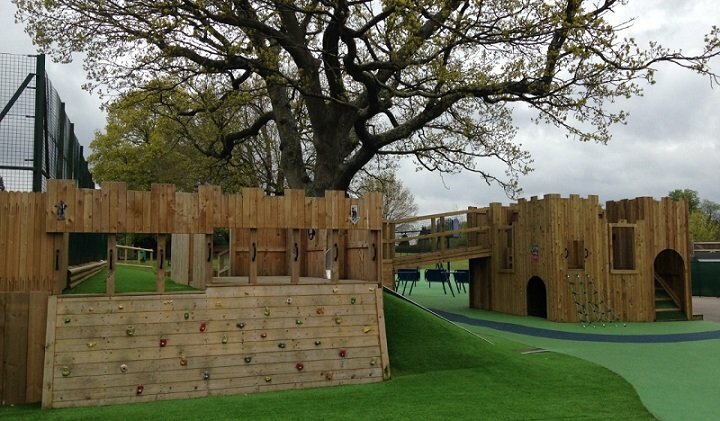 The great outdoors is a big thing at Dulwich and the woodland area of the school, as well as the on site nature reserve, are regular fixtures in school life. 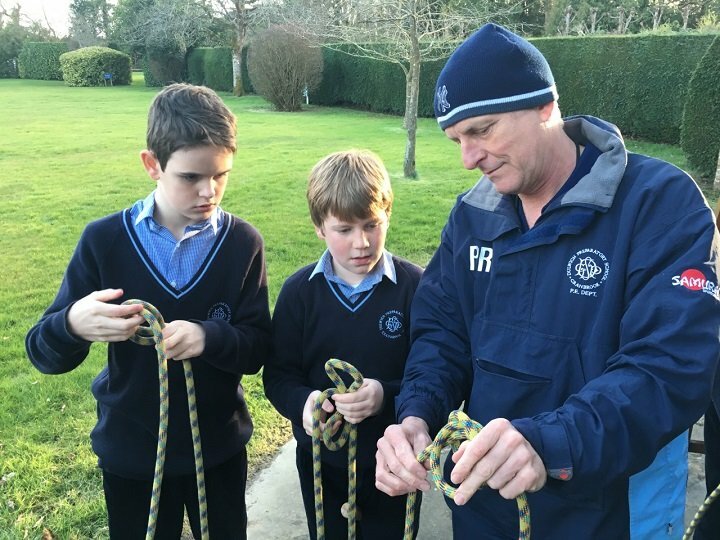 There’s an Outdoors Club on a Friday and even a newly appointed Outdoor Education Co-Ordinator, (Head of Y8) Mr Thompson. You can try just about everything from orienteering, shelter building, knot tying (see above) and scavenger hunting. One popular date in the school calendar comes once the children have settled into Year 5 and Upper School, they get to spend a night camping in the school grounds and trying out many of the above activities. By Y8 the students go to Wales for three nights and climb Mount Snowden. The academic results: The raison d’être for many for going to Dulwich Prep has historically been to get into Cranbrook Grammar (which now takes pupils from Y7 ) – and about half do just that, with most of the other half continuing in independent education. It’s also worth noting that if your child should need extra learning support for maths and English this is automatically offered as part of the package – basically meaning you don’t have to fork out extra money like you do at some other prep schools, which is a good feature. Scholarships: Each year Dulwich produces a long list of students who have had scholarship success, with Sports being the strongest area, followed closely by Drama and then Music. 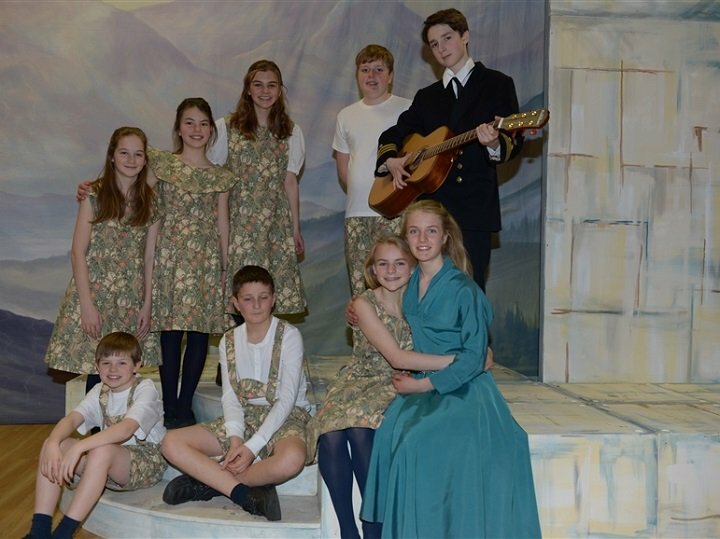 I recognise that curtain fabric – this must be The Sound of Music production! 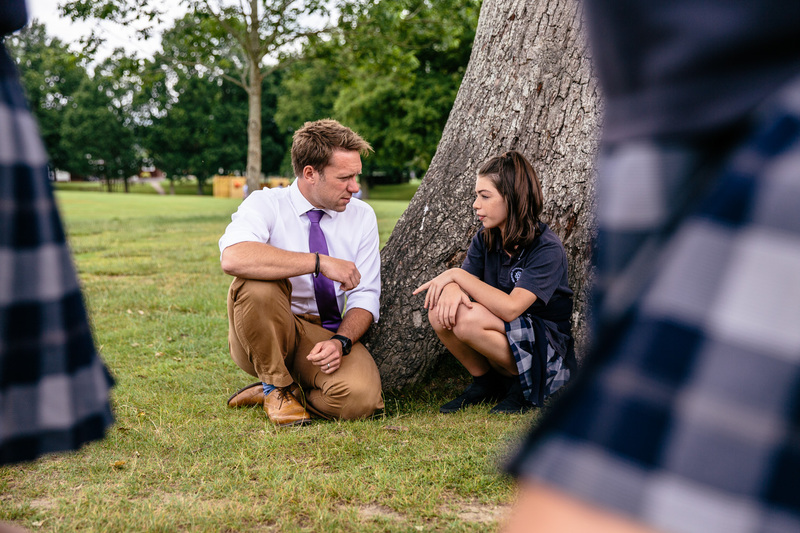 While on the subject, Drama is also a favourite subject at Dulwich, and several students I chatted to commented on how much they enjoyed Director of Drama, Mrs McDonald’s, lessons. Each of the three buildings has its own hall for putting on shows, with Upper School, having a wonderful performing space, (see above). ISI report: Click here for the full report. Headmaster, Mr Paul David, is a keen sportsman (he teaches games in Upper School) and his wife also teaches at the school. He’s an amiable man, but also has a certain gravitas, which is exactly what you want in a head teacher. A very visible presence around the school, and while Nash House and Little Stream both have their own Headteachers Mr David also attends assemblies there once a week. He has very high expectations of the schools surroundings – everywhere is immaculate, lots of fresh paint, with not a weed or piece of litter in sight (I think the groundsmen here must be exhausted). 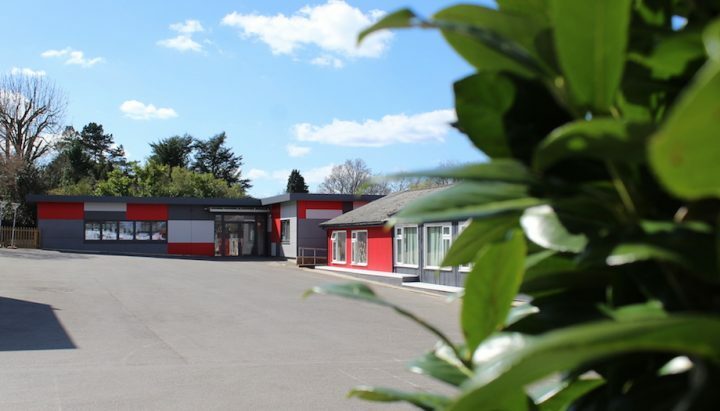 Littlies: Nash House and Little Stream (both fairly recently rebuilt; all classrooms opening onto the garden and outdoor retractable roof – light and airy with lots of space) are set away from the main school in interconnecting buildings. They have their own Heads as well as their own swimming pool and a cosy well-stocked library. Overall there is a much less formal, relaxed feel to the younger years setting. 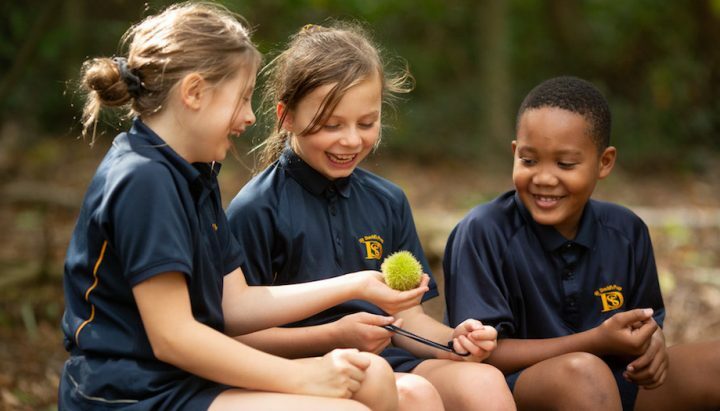 USP & Quirks: Not so much a quirk as an interesting backstory – but if you’ve ever got confused between the two Dulwich Prep Schools here’s why. 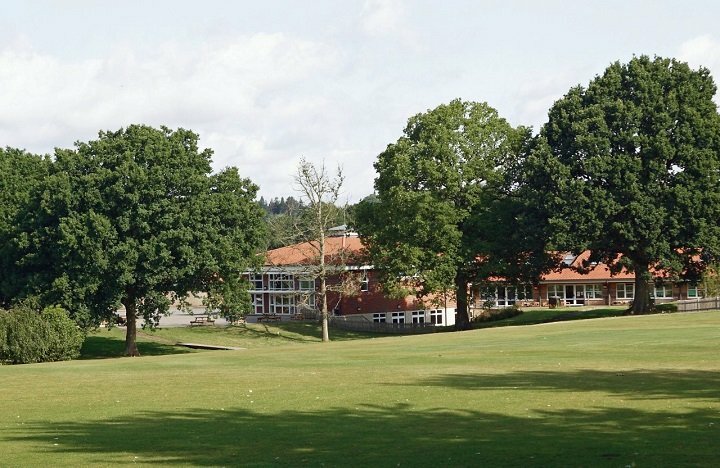 This one, in Cranbrook, was established as a war evacuation camp for Dulwich College Preparatory School (now Dulwich Prep London) during WWII. Back then it was a small, makeshift school, with the children taught in huts in a Kent orchard. The school you see today has developed from that. 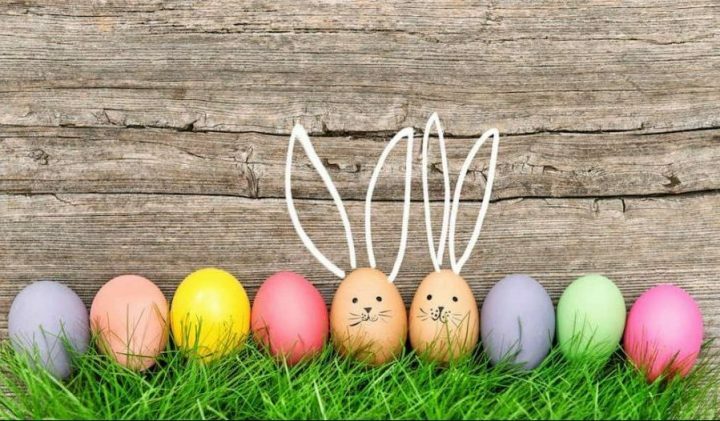 A detail worth mentioning are the ‘Parent’s Coffee Hatches’ dotted around each building – which open up every Friday morning to give parents the chance to chat and get to know one another in a convenient, casual setting. 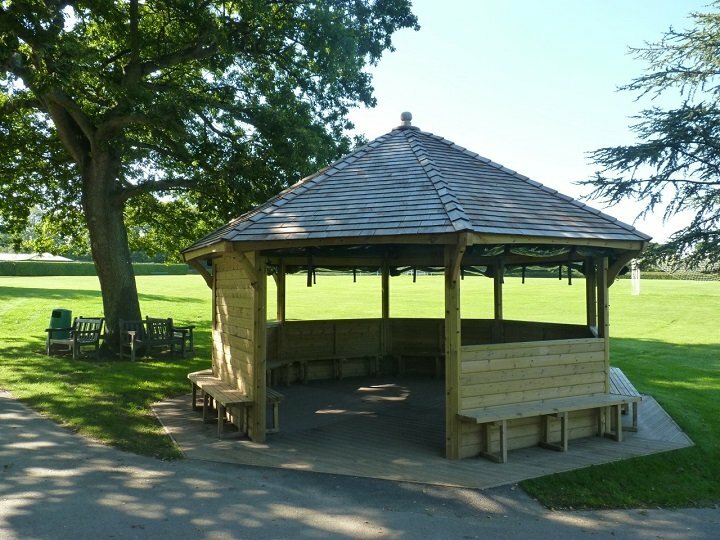 Another lovely feature was the specially built garden gazebo that’s the outdoor classroom, see below. 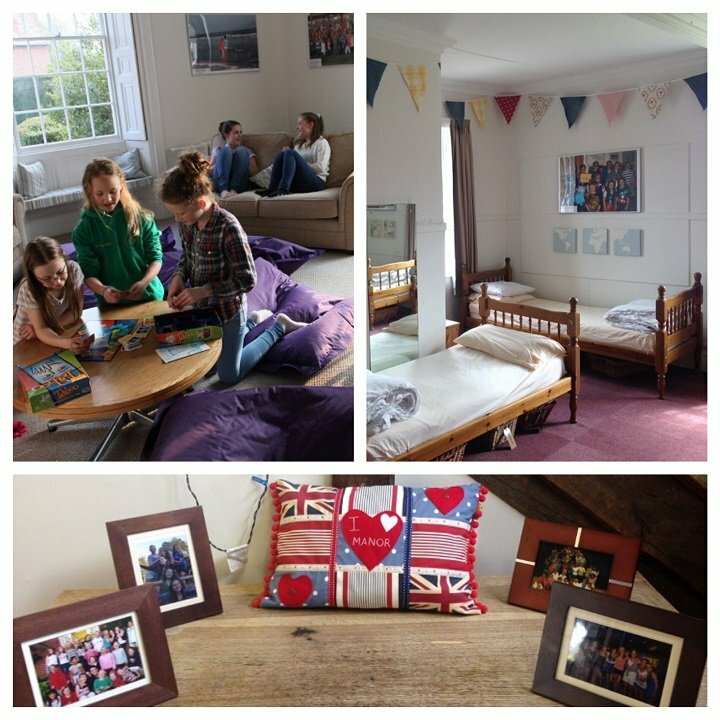 Wrap around care: As well as the option to put children into Breakfast or Tea & Prep clubs the school offers flexi-boarding. There are two boarding houses, one for boys and one for girls. I poked my nose around the girls’ house, Manor, set in the old building and attached to Upper School, so lots of character and very homely. Part-boarding is the norm (with students staying between one and four nights each week) but parents can opt for the odd night here and there, when work means they have to be away, or you know, Barbados calls or whatever. It’s very popular with the children too – so win, win. Word on the ground: There’s a lot of loyalty towards the school from the parents I have spoken to and quite a large per centage of them went to the school themselves, so that says a lot. The general feeling is that the newish Head (six years now) tightened everything up at the school and has given it a slick, organised feel. I was greeted on arrival by two bouncy, smiley Y5 girls who chatted to me about school life while we tucked into one or two of the Headmaster’s biscuits. They were unrehearsed, while beautifully polite, pony-mad, and said I could ask them any questions, except perhaps maths, which also showed a well-developed sense of humour (extra Muddy points there!). This was their break time and I asked what they would normally be doing if not chatting to me and they said ‘grabbing our tennis rackets and making up a round robin game on the court with our friends’. 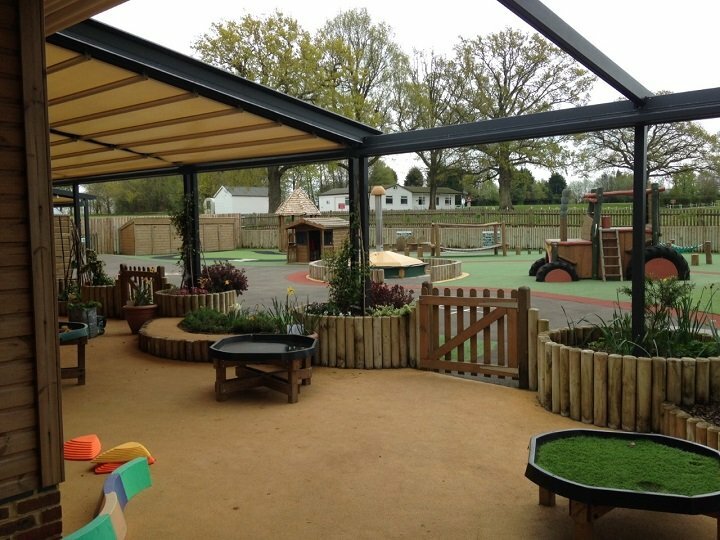 I was impressed by the obvious freedom the outdoor space and facilities gave them – and the independence and creativity that follows on from this. I have heard it said that despite Dulwich shying away from its reputation as a school for sporty, self-motivated kids those really still are the kind of children who suit the school best. Fees: Slightly on the higher side of average and on a increasing scale as you go up the school. 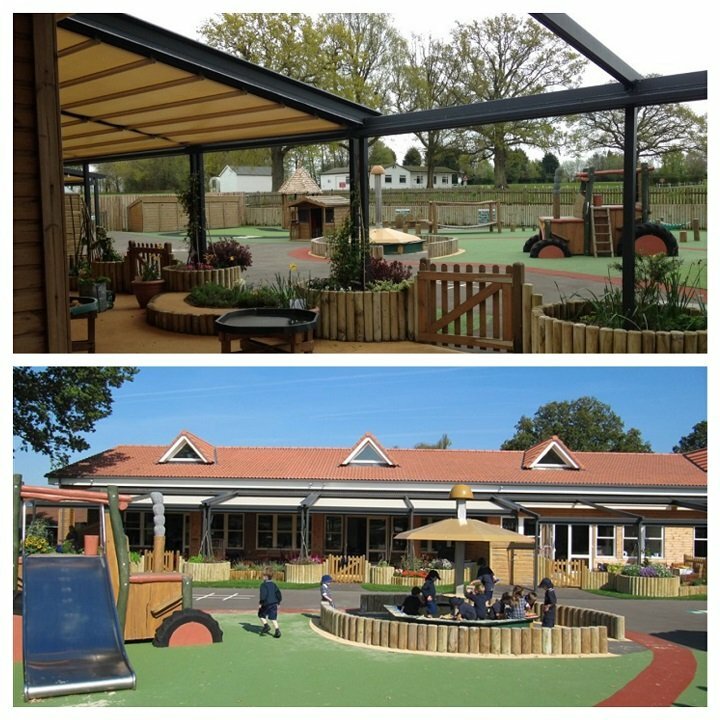 Nash starts at £1,906 (for 5 mornings in Nursery) to £3,596 (Reception), Little Stream is from £3, 698 (Y1) to £4,920 (Y2 – Y4). 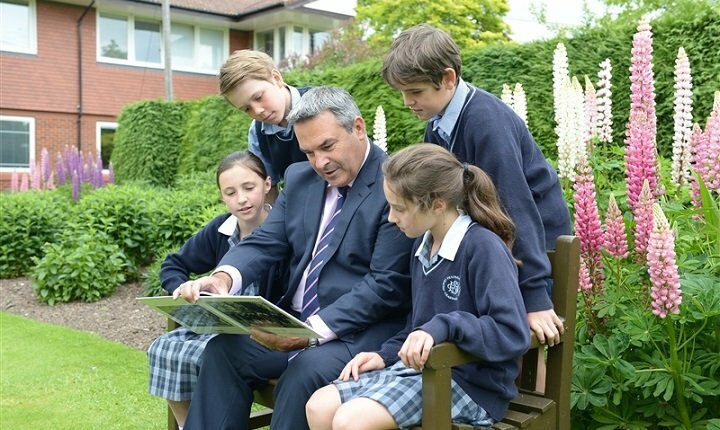 Upper School price for all years is £5,785 per term. Regular Boarding is £27 (per night) and Occasional Boarding is £40.00 per night. Good for: Sporty, outdoorsy, driven kids will obviously thrive here. But so will those who don’t necessarily yet know what their ‘thing’ is as there’s so much on offer everyone seems to get the opportunity to shine. Parents who want flexi boarding options, those who seek a friendly slick school in the countryside with a strong sense of family and community. 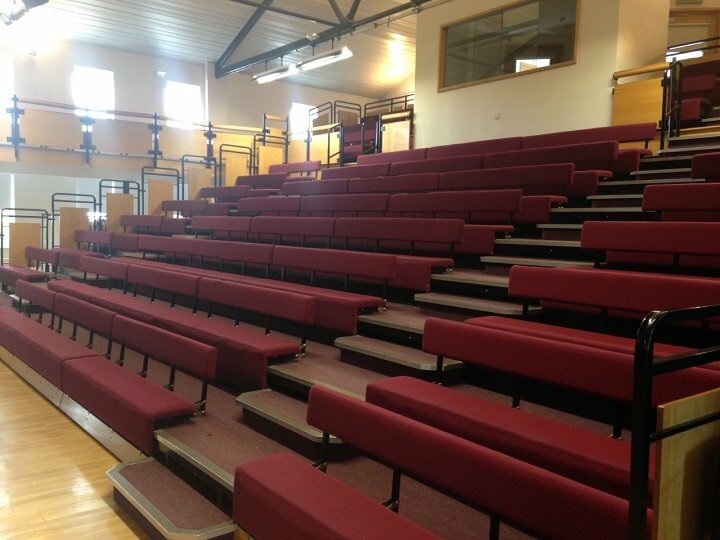 Not for: Those who want a smaller, intimate setting and don’t like the campus feel. No matter how inclusive a school tries to be, there are some children who just do better being a big fish in a smaller pond. Dare to disagree?! Have a look for yourself at the Open morning on Thursday 5 October, 2017, (contact the school for more information), and let me know what you think.